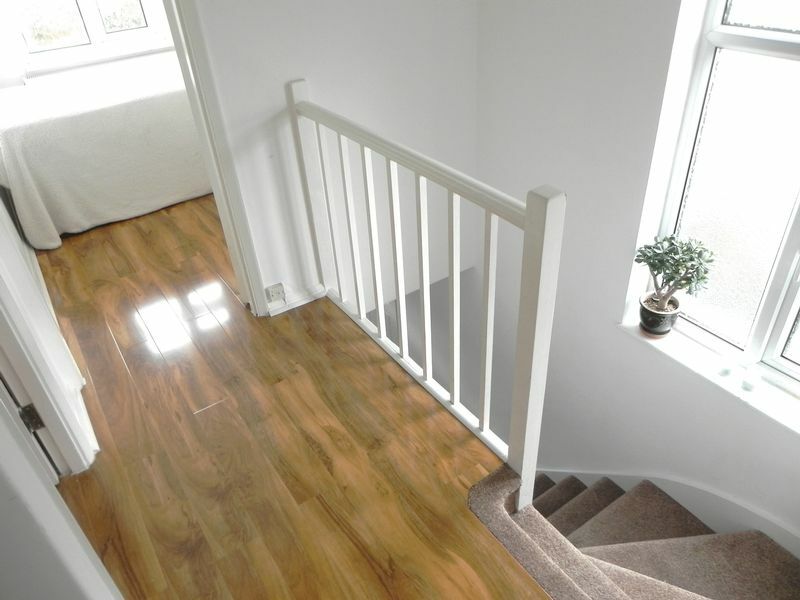 Laminated wooden flooring, radiator, power points, telephone point, understairs storage cupboard, door to garage. 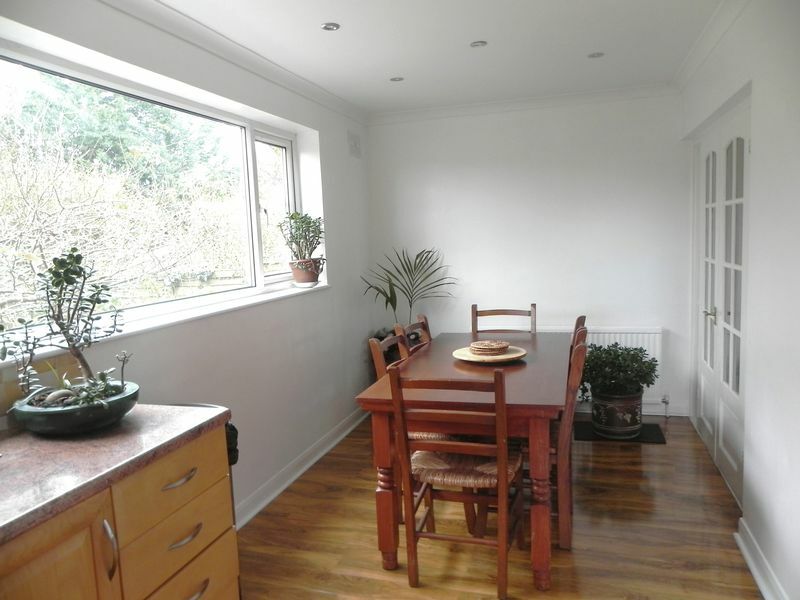 Double glazed bay window to front aspect, power points, tv and telephone point, coving to ceiling, laminated wooden flooring, two radiators, french doors to dining area. 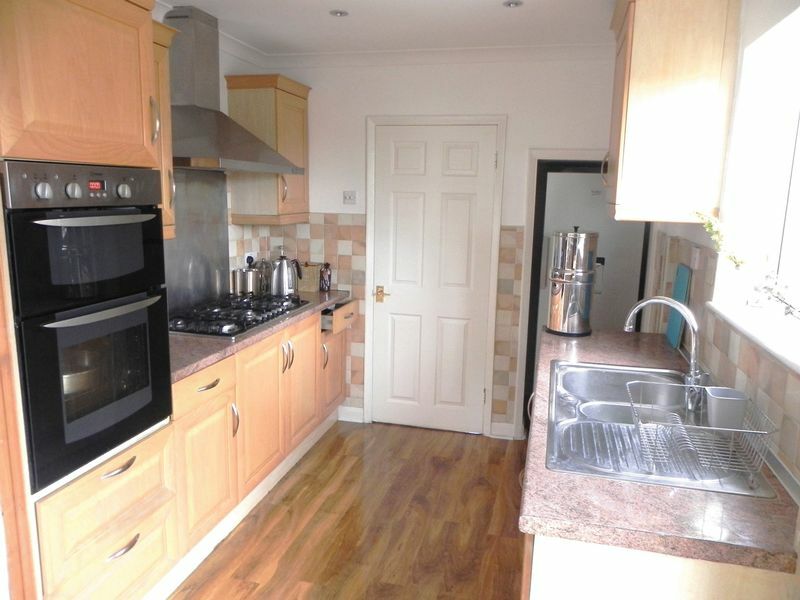 Range of fitted wall and base units with rolled top work surfaces, power points, built in oven and grill, six ring gas hob with extractor hood above, built in dishwasher,washing machine and tumble dryer, cupboard housing gas central heating boiler, splash back tiling, spot lights coving to ceiling, laminated wooden flooring, double glazed window to side aspect, double glazed door to rear garden. 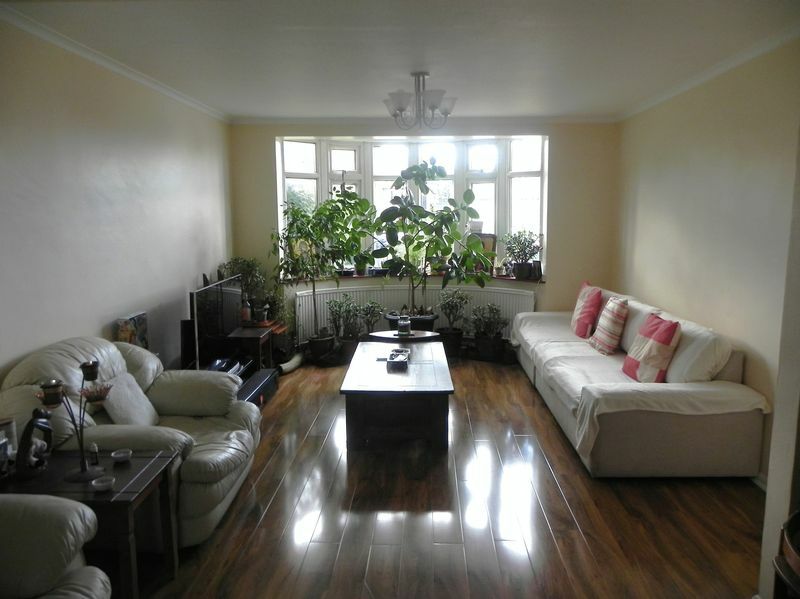 Laminated wooden flooring, power points, radiator, coving to ceiling, spot lights, double glazed window to rear aspect. 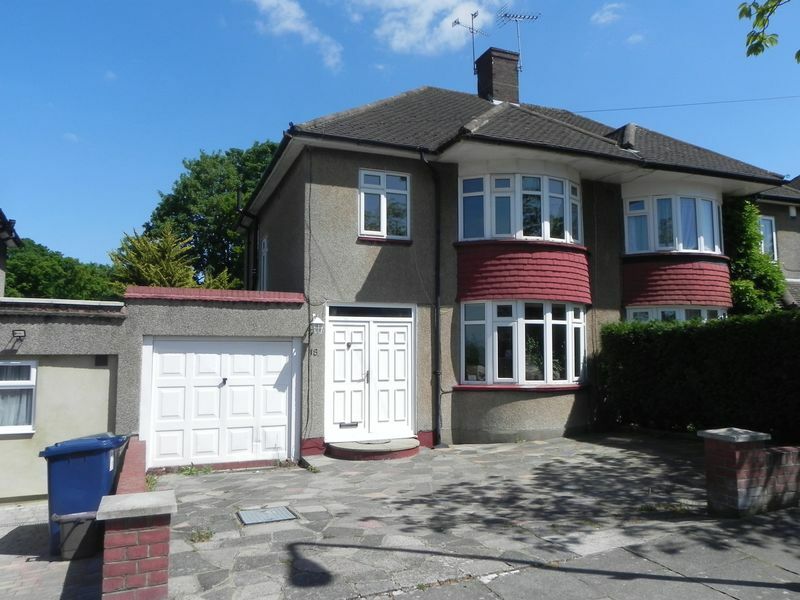 Laminated wooden flooring, telephone point, frosted double glazed window to side aspect. Double glazed bay window to front aspect, radiator, power points, laminated wooden flooring, coving to ceiling, range of fitted wardrobes. Double glazed window to rear aspect, laminated wooden flooring, power points, radiator, coving to ceiling, fitted wardrobes. Double glazed window to front aspect, laminated wooden flooring, power points, radiator, fitted wardrobe and cupboards. 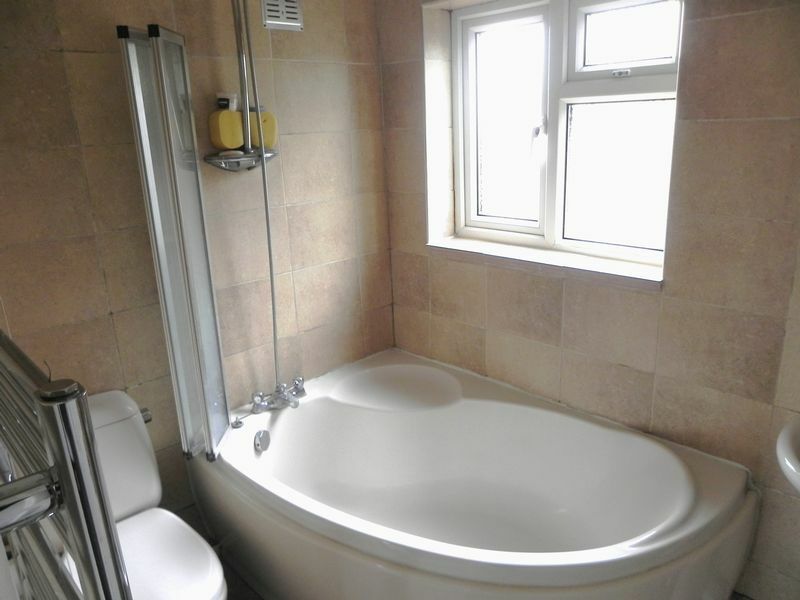 Corner bath with shower attachment, low level wc. 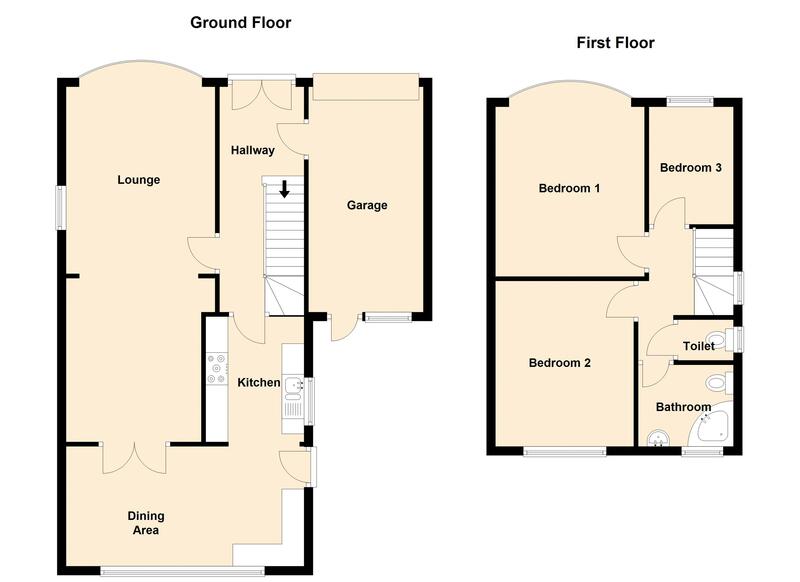 wash/hand basin, heated towel rail, tiled walls and flooring, coving to ceiling, frosted double glazed window to rear aspect, access to part boarded loft space with loft ladder. 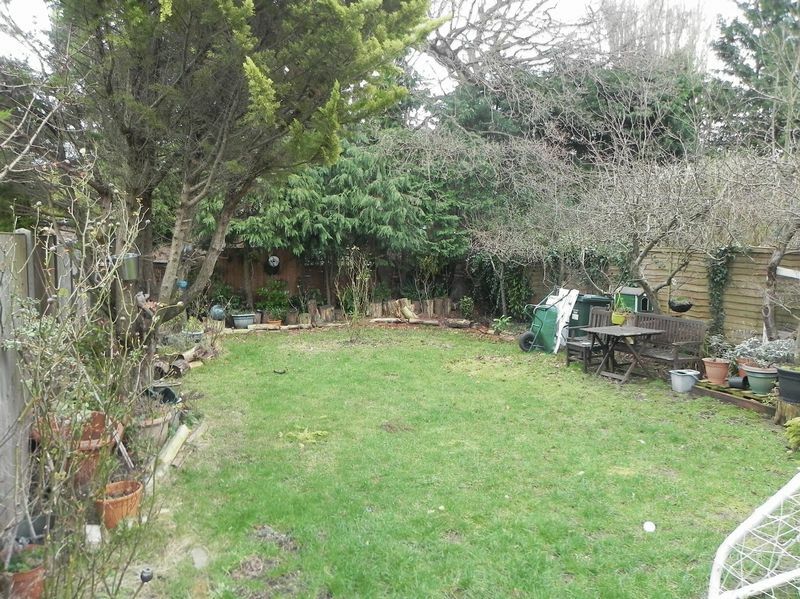 Approximately 50ft in lenght, mainly laid to lawn with flower and shrub boarders, patio area, outside water tap. Access via own driveway providing off street parking for 3 cars.